The Jungle is Jumpin'! Earlier in the week we posted a batch of artwork from Mondo's spectacular Disney show currently open at their gallery during the ongoing SXSW Film Festival down in Austin, TX. 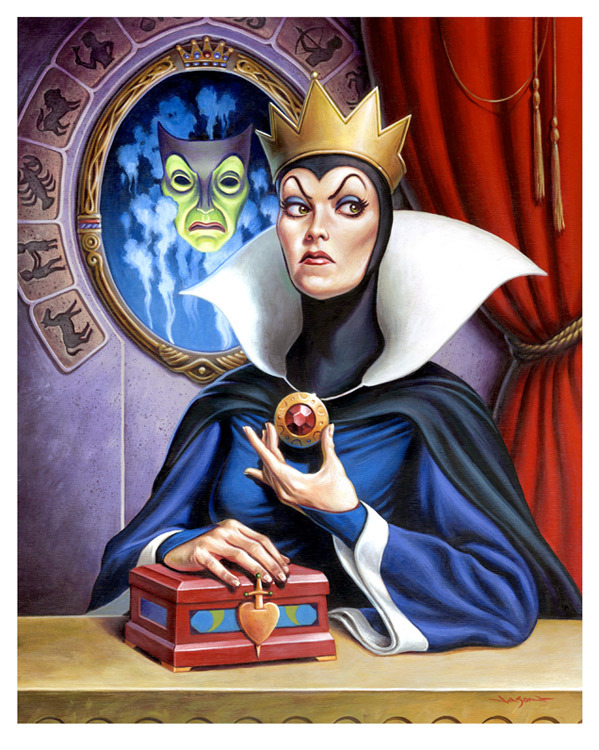 Thanks to art lovers at SlashFilm we now have a look at even more art that debuted at the show, which had a huge line to get in, and if you're a Disney fan, or had a childhood (that means everyone) you have to see these. The show is called Nothing's Impossible - info. 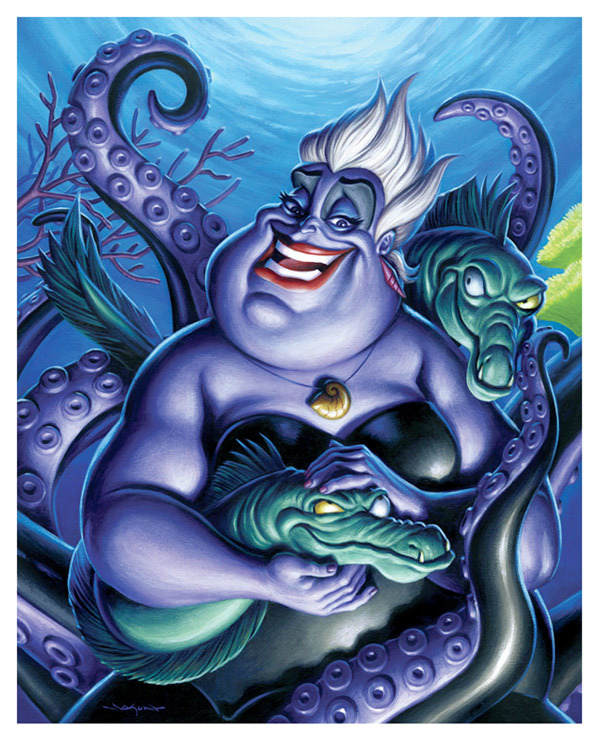 There's some art for Pixar's Ratatouille and Finding Nemo, as well as classics like Disney's The Jungle Book, Little Mermaid, The Black Cauldron, and Snow White, plus The Skeleton Dance. Many of these pieces exceed expectations, so take a quick look below. For the full gallery of prints, head to SlashFilm or MondoTees or follow @MondoNews or visit in Austin, TX. 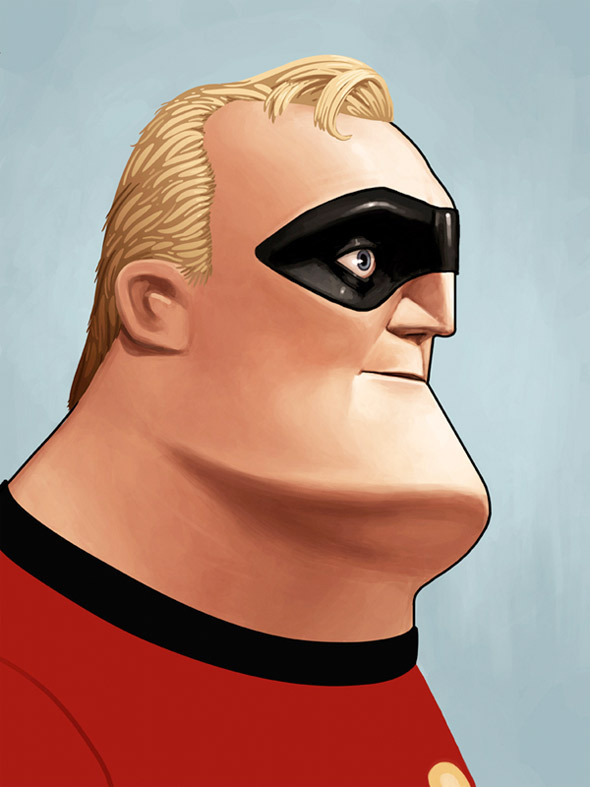 For the first batch of Disney Mondo art including The Incredibles, Wall-E, Fantasia and The Black Hole, click here. More prints will be revealed online soon, but it's best to check out the gallery in person at 4115 Guadalupe St. in Austin. The show is now open during SXSW, for anyone attending the festival. You will probably be able to buy some of these pieces online at some point, but in the meantime, they could make some great backgrounds on your phone, computer, etc. 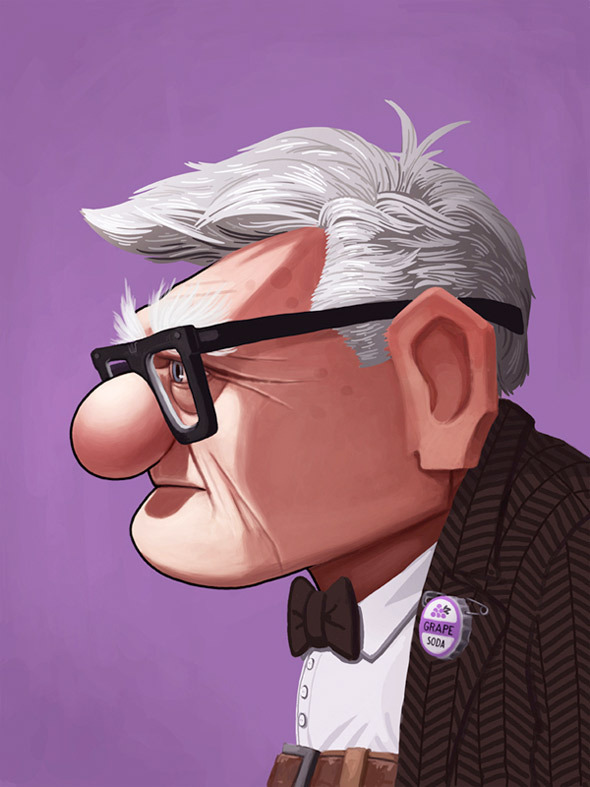 Overall some fantastic art for some beloved Disney classics, and some Pixar classics, too. 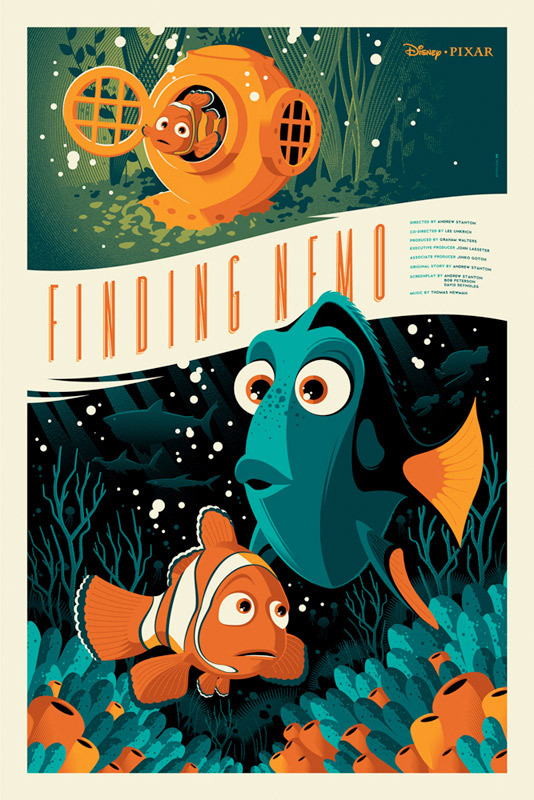 I really love Whalen's Finding Nemo print, and the two Mike Mitchell portraits. 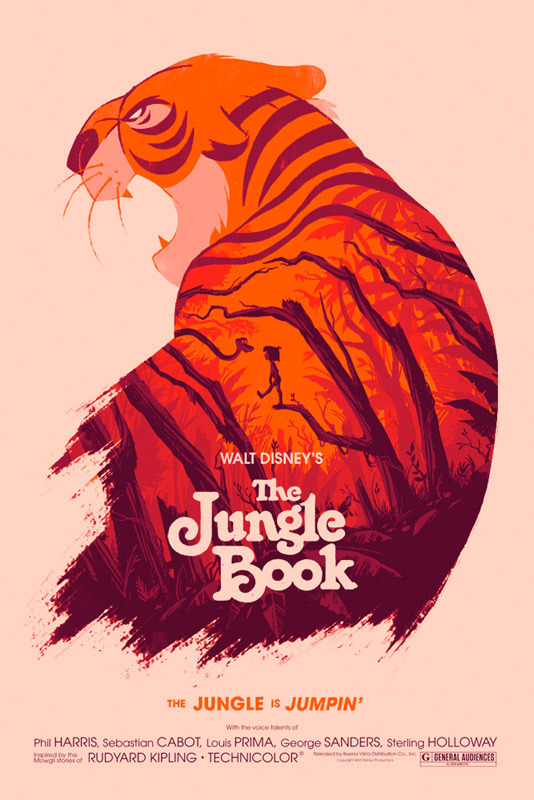 Plus, that Jungle Book poster is insanely good. 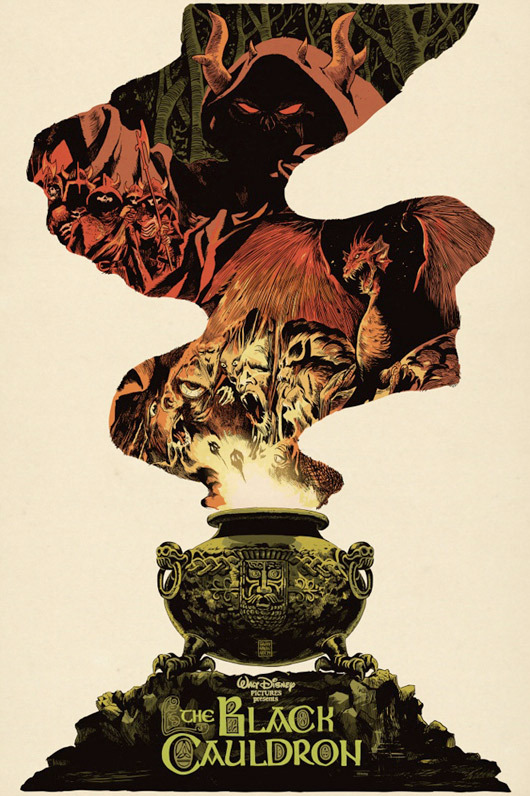 More of wonderful art from Mondo. Favorites?